The latest annual student debt survey [PDF] from The Institute for College Access & Success (TICAS) found that nearly 7-in-10 (or 69%) of 2014 graduates of four-year public and nonprofit colleges owed an average of $28,950, up 2% compared to $28,400 in 2013. It’s important to note that this study does not include debt rates for for-profit colleges because most choose not to report what their graduates owe. In addition to the higher level of student loan debt, recent college graduates continued to face relatively high levels of unemployment in 2014, with the unemployment rate at 7.2% for graduates and 14.7% for consumers with only a high school diploma. According to the TICAS report, the average student’s graduating debt varies drastically at the state level from about $18,900 to $33,800. Likewise, the probability that a graduate will have debt ranges from 46% to 76% depending on the state in which they reside. In six states, average debt was more than $30,000, while only two states had an average debt of less than $20,000. Students graduating from schools in Delaware had the highest average debt in 2014, at $33,808. Close behind is New Hampshire – which had the highest debt last year – with an average debt of $33,410. Nearly all the highest debt states are in the Northeast and Midwest, with the lowest debt states in the West. Students graduating in Utah have the lowest debt with the average of $18,921, while New Mexico – which had the lowest debt in 2013 – is close behind with an average of $18,969. When looked at from a national level, students graduating in 2014 – 69% – were more likely to have debt than their peers who graduated in 2004 – 65%, TICAS found. Over the same 10-year period, the report found that the average debt at graduation rose 56% from $18,550 to $28,950 – more than double the rate of inflation during the same time frame. In the majority of states, the average debt of new graduates with loans rose two to three times faster than inflation over the decade. In five states debt rose even faster – more than triple the rate of inflation. Four other states saw an increase that was actually below inflation rates. 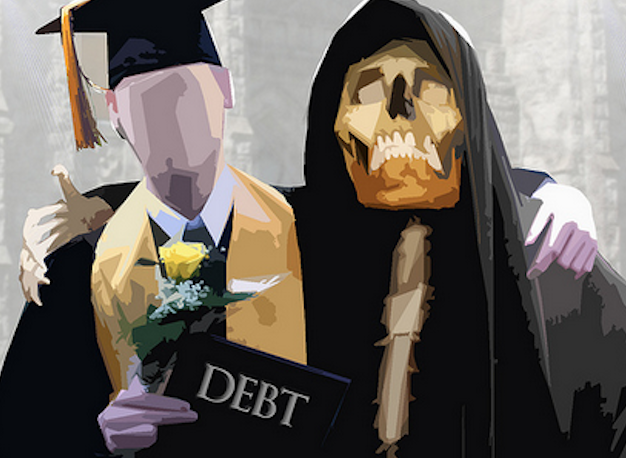 TICAS began issuing the Project on Student Debt to call attention to an issue of that affects millions of consumers. “Our findings drove home the need for better policies to support students, as well as for better data, and over the last decade there has been important progress on these fronts,” Lauren Asher, president of TICAS, said in a statement. Since the first report was released, consumers groups, regulators and the Dept. of Education have provided more programs and information to help student understand the true cost of higher education. They have also created plans aimed at assisting graduates in repaying their debts, such as the Income-Based Repayment plan that became available in 2009. Despite these improvements, TICAs says more can be done. “TICAS is addressing these and other challenges with the goal of reducing the burden of student debt and improving college access and outcomes,” Asher said.